In need of a new heat exchanger? It can cost anywhere from $600 to over $3,000. Were you recently told that you need a new furnace heat exchanger? If so, you’re probably wondering how much that will cost you. Unfortunately, it can cost anywhere from $600 to $3,000 to replace a furnace heat exchanger in Kansas City. Yeah, we know. That’s pretty expensive. So why is it so expensive? And at this point, should you just replace the entire furnace? Don’t worry, we’ll answer all those questions (and more) below. Unfortunately, there are techs out there who might try to sell you on an expensive heat exchanger replacement when you don’t really need one. How? By claiming that your heat exchanger is cracked and leaking lethal combustion gases. Our professional advice? 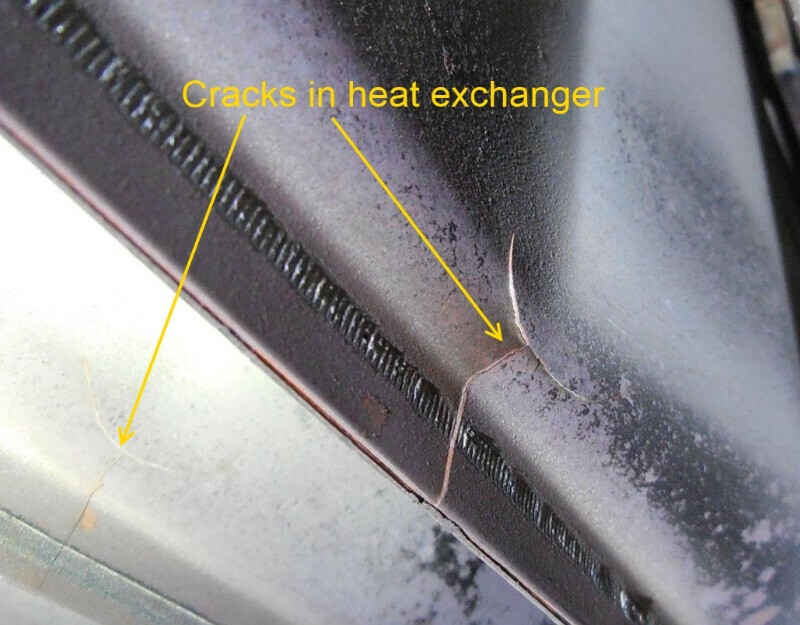 If you can’t see the crack, the heat exchanger doesn’t need to be replaced. If you just discovered your heat exchanger doesn’t really need to be replaced, congrats! If your crack is visible, though, let’s go back to that whole price thing. Why is it so expensive to replace a heat exchanger? Well, let’s take a closer look. When you have a professional replace your heat exchanger, you’re basically just going to be paying for labor. You see, heat exchanger manufacturers typically offer either 20 years or a lifetime warranty on the part so you most likely won’t have to pay for the part itself. But it does take a lot of work to replace a heat exchanger. Depending on the furnace model, it can take up to 10 hours for a tech to replace this piece. That’s because they’ll need to almost entirely disassemble the furnace to remove your old heat exchanger and install the new one. So, should I DIY the replacement? It’s a tempting thought, right? Save yourself some money and replace the heat exchanger yourself since the piece shouldn’t cost you anything. But, no, we suggest leaving a heat exchanger replacement to a certified HVAC technician. That’s because the job requires a good bit of knowledge about furnace disassembly, electrical components and how to get the job done safely. Plus, incorrect installation will just lead to more expensive repair work by a professional. Should I just replace the entire furnace at this point? If you’re looking at a hefty price to replace your heat exchanger, you’re probably wondering if you’d be better off just getting a new furnace. Your furnace is 12-15 years old (or getting close to it). Your warranty doesn’t cover the heat exchanger. For more in-depth advice on whether you should repair or replace your furnace, check out our article, “Should You Replace Your Heat Exchanger or Get a New Furnace?”. Need a quote on a furnace or heat exchanger replacement? If you live in Kansas City and need a quote for your job, contact us today.